Inspire mum with the gift of reading this Mother’s Day. Enjoy a moment with Readly. 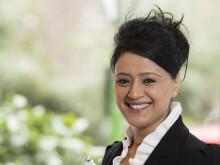 Mother’s Day is fast approaching with Mothering Sunday on the 11 March. If you haven’t already sorted your gift, you’re not alone. There’s still plenty of time to get the greatest gift in the bag and show mum just how much you care. It is anticipated we will spend £1.4 billion on Mother’s Day this year with approximately £260 million going on flowers. But what if you could find a gift that keeps on giving long after Mother’s Day is over and mum has a moment to herself? Chocolates, flowers, scents and cards are the regular gifts we tend to go for but most mums would simply appreciate a little bit of extra me time or a moment to relax throughout the year, not just on Mother’s Day. The Readly digital news stand gift card is the perfect gift this year with something to inspire her in one handy app whenever she has a spare moment. Whatever your mum’s interests, the gift card provides instant and unlimited access to thousands of top UK magazines via the Readly app on her smartphone, tablet or laptop. From news and trends, fashion, health and beauty, music, celebrity gossip, food & drink and even puzzles. There’s a magazine for every reading moment across the 620 UK titles and back issues too. When mum wants to properly shut down without wi-fi she can download up to 500 magazines and read them in the offline mode wherever she may be. And because Readly gives users five profiles per household, if you’re lucky enough to still live with your mum, you too can benefit from the gift! Go ahead and make mum smile on Mother’s Day and beyond. It’s in her pocket. The Readly app costs £7.99 per month with a two-week free trial. 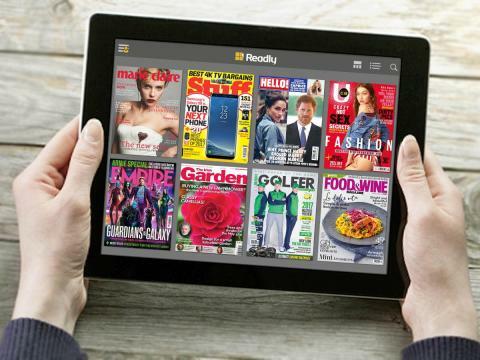 Readly is a digital service which lets customers have unlimited, “all-you-can-read” access to hundreds of national and international magazines in one app for just £7.99 per month – both streamed and downloaded. Ultra-fast, easy-to-use and convenient – each subscriber can access the inventory on up to 5 devices across the major operating systems – the service has an increasing range of functions, including advanced zoom, bookmark, search and sharing tools. Readly was launched in Sweden in March 2013, but now has offices in the UK, USA and Germany and a rapidly growing user base in more than 50 countries, making it the world’s leading digital platform for reading magazines online. Readly UK started operation in the Spring of 2014 and now deals with 80 UK publishers, promoting 620UK magazine brands, in addition to a growing inventory of over 1,000 international titles.